BANDUNG, (PRLM).-PT Perindustrian Angkatan Darat (Pindad) menggarap serius pasar regional Asia Tenggara untuk mendongkrak penjualan kendaraan tempur panser. Dirut Pindad Adik Avianto Soedarsono mengemukakan dalam waktu dekat ini penjualan 32 unit panser ke negara jiran Malaysia tinggal menunggu kesepakatan akhir yang akan dilakukan pada pertengahan Mei 2010. Selain Malaysia, Pindad dan Departemen Pertahanan menjajaki kerja sama perdagangan panser dengan Vietnam. Di saat yang bersamaan, pasar Filipina pun akan digarap. "Pada saat pameran di Malaysia baru-baru ini, Filipina menyatakan tertarik pula dengan produk panser kami," kata Adik, Jumat (30/4). Saat ini, panser yang akan dijual ke Malaysia masih menjalani serangkaian ujicoba di lokasi pabrik Pindad, Kiaracondong Bandung. Beberapa komponen juga masih disempurnakan antara lain mesin, sistem pendingin, dan transmisi. Dia menuturkan khusus untuk penjualan Panser ke Malaysia, perangkat mesin tidak lagi menggunakan mesin pabrikan Renault. Akan tetapi, menggunakan mesin Mercedes-Benz. "Karena Renault ternyata menjadi pesaing kami untuk memasok kendaraan ke Malaysia sehingga kami harus mengganti komponen mesin," kata Adik. Namun demikian, Pindad belum memastikan, apakah unit panser yang akan dijual ke Malaysia akan menggunakan mesin Benz. Adik mengemukakan ada dua pilihan mesin yang akan dipakai untuk panser tersebut yaitu Benz atau Deutz yang hampir sama dengan mesin Renault berkapasitas 7.000 cc dan berkekuatan 320 tenaga kuda. Selain menjajal dan menyempurnakan produk, Pindad dan Malaysia juga masih membenahi berbagai persyaratan administrasi supaya transaksi penjualan yang dilakukan benar-benar menerapkan prinsip good and clean government. Jika semua uji coba dan persyaratan rampung dalam waktu dekat ini, maka kesepakatan penjualan 32 unit panser akan dilakukan Mei 2010. Selanjutnya, pengiriman pertama panser ke Malaysia bisa dilakukan pada November 2010 dan sisanya pada akhir tahun. Adik mengatakan pihaknya juga akan mengusulkan penyelesaian sisa 61 unit panser dari total 154 unit, jika penjualan panser ke Malaysia benar-benar terwujud. Dia menuturkan harga jual panser ke Malaysia akan lebih mahal 30% dibandingkan dengan harga panser yang dipesan Dephan seharga Rp7 miliar. "Memang ada beberapa hal yang membuat harga jual ke Malaysia lebih mahal," katanya. Juga dijelaskannya, harga jual panser pada tahun ini akan dinaikkan 10 persen sampai 15 persen, sebagai penyesuaian dengan perkembangan ekonomi makro. Untuk itu, Adik meminta agar pemerintah mau mengucurkan dana tambahan untuk pembayaran unit sisa panser. "Memang kontraknya dengan pemerintah berlangsung pada 2007, tetapi harga tahun 2007 mungkin berbeda dengan harga sekarang," katanya. This is the first picture of Thai’s BTR-3E1, pictures are taken from the quarterly magazine of the Royal Thai Army. In this picture seen the inspection visit and test of the armored vehicle in Ukraine. The Army has selected 96 units the 8x8 wheels armored vehicle BTR-3E1 from the Ukraine in the project of providing a new vehicle armor tires of Royal Thai Army. Which has signed in contract in mid 2008 a supply of primary vehicle armor is expected to be ready to deliver in the year. But on issues of supplies that can not provide the same engine (since the manufacturer refused to sell to) the project must be delayed to the news that the Army had decided to replace with the US MTU engine series 6R106 TD 21 as an engine for the original engine of the German Deutz. After the engine has changed to provide generation MTU 6R106 TD 21, The Ukraine is responsible for the cost of installing a new engine. The Army is expected to be received the BTR-3E1 in this year and in under the same provision increase of approximately 132 vehicles that the Army needs new wheeled armored for Armor Battalion of the 3rd. The DMO's Maritime Systems Division has released an ITR for SEA1439 Phase 5B2 pertaining to the replacement of the Collins Communications Centre and the implementation of a new external comms system incorporating a high data rate (HDR) SATCOM capability on the Collins submarine fleet. In respect of the HDR capability, Raytheon's Sub HDR is a multi-band satellite communication system being installed in US nuclear-powered attack submarines, including the new Virginia class. The system consists of a mast-mounted antenna that can be deployed by raising it above the ocean's surface while the submarine remains submerged and stealthy at periscope depth. For Australia, one of the main advantages would be access to the USAF's Advanced Extremely High Frequency system, which offers significantly higher bandwidth than extant systems and is common to US military services, and is also joint with Canada, the Netherlands, and the UK. ADM understands that Rohde & Schwarz (Australia) will be a contender for the Collins external communications replacement with the SubICS system developed by EID for submarines of both the Portuguese and Spanish navies. Another important contender has to be L-3 Communications (East), offering their MarCom Integrated Digital Switch as the foundation of what the company describes as its single-system approach which started with the integrated radio room for the Trident submarine and continues with its fielding on US Navy attack submarines. Thales Australia may be offering its FICS, a fully integrated communications system for surface vessels, submarines and ground centres, offering centralised communications management. It comprises a multi-level secure local IP network providing high-data-rate connections between local users and external communications equipment such as modems, terminals, radio, and satcom, as well as a broad range of services. Is there a possibility that the RAN may decide to re-equip the Collins submarine communications centres along the lines of the USN's Common Submarine Radio Room? This network-based communications architecture is now being installed on a variety of submarine types, including the Virginia class, to use bandwidth more effectively. The CSRR technology automates functions and requires less equipment and fewer personnel than current systems. Lockheed Martin developed the CSRR, so one might suspect a strong interest in proposing it for the Collins communications upgrade. The Minister for Defence, Senator John Faulkner today announced that the Defence Materiel Organisation has released project solicitation documents to the United States Navy and Australian Aerospace for the supply of a new naval combat helicopter under Defence Capability Plan project AIR 9000 Phase 8. Under this project, the Government will acquire sufficient helicopters to provide at least eight helicopters concurrently embarked on ships at sea, which under the White Paper requires a fleet of 24 helicopters. Senator Faulkner said that “The new naval combat helicopter will enhance the Royal Australian Navy’s ability to conduct a range of maritime combat and other operations, including anti-submarine and surface warfare. As announced by the Government in February 2010, the new helicopter will be either the Sikorsky-Lockheed Martin built MH-60R sourced through the United States Navy, or the NATO Helicopter Industries NH90 NFH sourced through Australian Aerospace. Senator Faulkner said that any decision Government makes in 2011 will take into account all relevant considerations including capability, cost, interoperability with other ADF capabilities, Australian industry opportunities, risk and value for money. EADS Defence & Security (DS) has been ordered to equip three additional helicopters of the Royal Thai Air Force (RTAF) with its obstacle warning system. This device, which is known as “HELLAS” (Helicopter Laser Radar), ensures the detection of obstacles that are virtually invisible for pilots, such as high-voltage power lines, thus enabling missions to be carried out even under difficult visibility conditions. Before this, in 2005, Defence Electronics, an integrated activity of DS, already delivered three obstacle warning systems to the Royal Thai Air Force, which have been integrated into Bell 412 helicopters. The HELLAS systems currently ordered will, for the first time, be installed on-board Sikorsky S-92 helicopters. “HELLAS enables pilots to detect and avoid the smallest of obstacles, even when visibility is bad, thus offering crucial protection against one of the main causes of helicopter accidents,” explains Bernd Wenzler, CEO of Defence Electronics. The HELLAS obstacle warning system was specifically developed for use on-board helicopters. It has been successfully used for many years in German Federal Police helicopters and in 14 civil defence helicopters. HELLAS scans the airspace ahead of the helicopter using a laser beam that poses no danger to the human eye. It detects even extremely thin wires with a high accuracy from distances of up to 1,000 metres. On the HELLAS display, the pilot sees a grey-scale, in-depth image of the landscape in front of the helicopter. Potential obstacles are displayed in a red signal colour so that the helicopter crew can identify and fly around them in time. MANILA, Philippines—You can’t modernize the Armed Forces of the Philippines by equipping it with 20-year-old planes and “surplus” hardware from other countries. That was the message aired Sunday by Liberal Party (LP) senatorial candidate Ruffy Biazon after receiving what he said were reports from his “military sources” that Defense Secretary Norberto Gonzales was pushing for the “midnight” purchase of helicopters worth at least P3.2 billion. Defense and Philippine Air Force (PAF) officials denied that Gonzales was batting for any specific purchases and said no decision had been reached on what equipment to buy. Biazon, a representative from Muntinlupa, alleged that Gonzales was pushing for the purchase of 14 Cobra attack helicopters from Israel that “are almost 20 years old” despite complaints from the Philippine Air Force. “Why push for second-hand aircraft when the [specifications] are not what the Air Force wanted? This was rejected by the Air Force because they require new helicopters,” Biazon told the Inquirer. “This looks like a supplier-driven contract and it will cost us P3.2 billion to buy those 14 refurbished Cobra helicopters,” he added. Biazon said the PAF opposed the purchase because the Cobra helicopters were “surplus” equipment and ran only on “a single engine.” He said the Air Force wanted multiengine helicopters. LP presidential candidate Sen. Benigno “Noynoy” Aquino III has warned foreign governments and suppliers against entering into “midnight deals” with the outgoing Arroyo administration. He said that, if elected, he would scrap these contracts if they were disadvantageous to the government. Biazon also pointed out that Congress would not be able to scrutinize these supposed “midnight purchases” because the country was in the middle of an election campaign. “Also, it is the new administration that will be paying for these so why don’t we just wait after June 30?” he said. Biazon said that Gonzales also planned to buy “surplus” Bombardier passenger-type aircraft from a Canadian airline that was no longer using them. “We are supposed to use these as long-range patrol aircraft but I have received information that they have limited flying endurance. 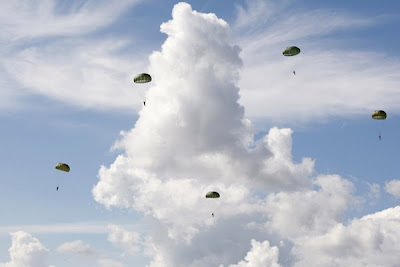 They last only for four hours compared to 16 hours of the US military’s P-3 Orion (reconnaissance planes),” Biazon said. “They are also supposed to buy new items for three Army divisions because they want these in time for June 12. They want to show off during the Independence Day parade,” he claimed. The Air Force denied Biazon’s claims. PAF spokesperson Gerardo Zamudio said Gonzales had left it to the Air Force to come up with the list of aircraft it deemed vital for its operations. Buying Cobra helicopters was just among many suggestions that Gonzales raised during consultative meetings on AFP modernization, Zamudio said. “Secretary Gonzales never dictated what the Air Force should purchase,” Zamudio said by phone, adding the PAF was still studying what aircraft to prioritize. “The reality on the ground is that decision on the matter has yet to be made,” he said. Agapito Lugay, Gonzales’ head executive assistant, said that during the consultative meetings held in February, two other alternative aircraft were considered aside from the Cobra helicopters. “The secretary would never push for something that the Air Force did not approve of,” Lugay said. A defense department source confirmed that during a meeting in February, Gonzales said he wanted to present “something new” during the June 12 parade. “He doesn’t want only to display new uniforms for the military … but at this point I think that’s impossible because we’re too close to June 12,” the source said. Four foreign governments are apparently pushing through with negotiations to provide the military with a “modest but lethal” external defense system. Gonzales said talks with the French, Canadian, Korean and Israeli governments were continuing and that suspicions of “graft-ridden” deals raised by critics had not deterred those governments. Canada was offering long-range patrol aircraft, which Gonzales said was essential to build the military’s missile capability. “We have to have a lethal external defense capability because in the diplomatic community, we are being insulted because they think that we can do nothing when we are challenged … that’s why I am asking the Air Force to please hurry up to define what kind of aircraft they need,” he said. KUALA LUMPUR, (Bernama) -- The Royal Malaysian Navy (RMN) plans to upgrade some of its existing assets and acquire new ones to enhance security operations in the nation's waters. RMN chief Admiral Tan Sri Abdul Aziz Jaafar said among the plans were to upgrade its patrol vessels and procure littoral combat ships (LCS), three multi-role support ships (MRSS) and six more anti-submarine helicopters. He disclosed this at a special interview with the media in conjunction with RMN's 76th anniversary celebration tomorrow. Also present was his deputy, Vice- Admiral Datuk Mohammed Noordin Ali. Abdul Aziz said the plans had been forwarded to the government through the Defence Ministry recently, and they were seen as important in modernising the nation's defence assets for the future. On the upgrading of RMN's patrol vessels, he said it would be done using the latest technology before handing over the vessels to the Malaysian Maritime Enforcement Agency. He said to replace the patrol vessels, RMN planned to procure littoral combat ships with high-powered diesel engines supplemented by gas turbines for better speed. Abdul Aziz said the LCS are relatively small surface vessels for operations in the littoral zone (close to shore) and could be upgraded by incorporating anti-submarine warfare and anti-aircraft warefare capability. As for the three MRSS planned to be procured, he said the vessels would be used to assist disaster relief and international peacekeeping operations. Abdul Aziz said the targeted displacement was up to 18,000 tonnes and with a landing platform dock (LPD) or landing helicopter dock (LHD). "The LPD is suitable for our needs and is cheaper," he said. "There is no point having a big vessel but cannot be accommodated at our ports...so we focus on deployment and HADR (humanitarian assistant disaster relief. "On the issue of hijacking of ships, Abdul Aziz said the BM5 Operation, a strategic collaboration between RMN and the Malaysian International Shipping Corporation (MISC), had ensured that no such undesirable incidents had befallen Malaysian merchant ships plying the Gulf of Aden. On RMN's 76th anniversary celebration, Abdul Aziz said it would be held on a modest scale to remind the RMN community and the public of its history and achievements since its establishment on April 27, 1934. It was a big week for experimental military aircraft, with the Air Force’s secretive X-37B space plane and the Navy’s biofuel-powered “Green Hornet” both achieving successful test flights. But the most ambitious—the HTV-2 hypersonic glider under development by the Defense Advanced Research Projects Agency (DARPA)—lost contact with its operators during its run. Launched from Vandenberg AFB, Calif. on April 22, the unmanned HTV-2 was planned to cross the Pacific and impact the ocean north of Kwajalein Atoll in the first of two flights to demonstrate technology for a prompt global strike weapon [Aviation Week]. It successfully achieved separation from its booster rocket high in the atmosphere; however, nine minutes into the test the glider lost communication. Now the military is studying the test flight telemetry to figure out where the HTV-2 would have crashed down. Thursday’s mission was the first of two planned in the HTV-2 program, which uses Minotaur 4 boosters developed by Orbital Sciences Corp. from decommissioned Peacekeeper intercontinental ballistic missiles. The U.S. military is trying to develop technology to respond to threats around the globe at speeds of Mach 20 or greater, according to DARPA [AP]. DARPA is being fairly tight-lipped about possible uses for the HTV-2, but it’s not hard to see why the military would be excited about an aircraft that travels about 13,000 miles per hour and can strike on the other side of the world with “little or no advanced warning,” as the agency says. Program manager Paul Erbland says the key to HTV-2 flying at such speed and height is its carbon shell, which is capable of withstanding extreme heat and pressure. It doesn’t burn off material to get rid of heat. The vehicle is designed to fly at a low angle of attack relative to other hypersonic vehicles. “Shuttle and similar vehicles fly at roughly 40°; HTV-2 is substantially below that,” he said [Aviation Week]. As for the communications failure, DARPA has some time to address the problem before the craft’s second planned test flight next March. JAKARTA, KOMPAS.com - Untuk memperluas pasar, PT Hino Motor Manufacturing Indonesia menjajaki segmen baru, yakni kendaraan militer. Merek yang berada di bawah bendera Toyota ini, berencana memasok sasis untuk kendaraan militer Tentara Nasional Indonesia (TNI). Gunadi Shinduwinata, Ketua Umum Asosiasi Industri Pertahanan Otomotif (AIPO) semalam mengatakan, saat ini seluruh anggota asosiasi tengah melakukan pengembangan kendaraan khusus militer. Untuk prototipe digunakan sasis Hino produksi lokal. "Ini bukan masalah Hino saja, lebih tepatnya seluruh anggota AIPO. Hino dipilih karena memiliki kandungan lokal 70 persen," ujar Gunadi. Dijelaskan pula, asosiasi juga menggandeng PT Pindad dan perusahaan karoseri nasional untuk memenuhi kebutuhan TNI tersebut. Menurut Gunadi, terdapat sekitar 9-12 varian yang akan diciptakan. "Untuk menciptakan satu prototipe, sudah menghabiskan dana Rp800 juta per unit. Ini kendaraan berat. Biayanya akan berkurang seiring tumbuhnya permintaan," papar Gunadi. Dengan adanya kerjasama ini, diharapkan kebutuhan kendaraan militer yang masih mengandalkan produk impor secara perlahan dialikan ke industri lokal. “Potensi pasar kendaran militer nasional mencapai 3.000 unit per tahun,” ungkap Gunadi. 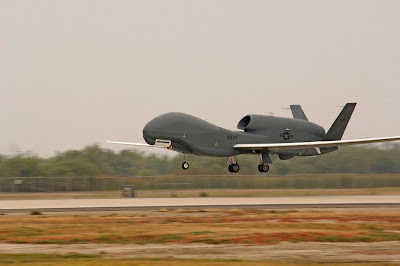 Federal opposition leader Tony Abbott has said a Coalition government would buy three Northrop Grumman Global Hawk UAVs to bolster the nation’s border security if it wins government in this year’s federal election. The Global Hawk has been under consideration by the ADF for several years as part of a two tiered replacement for the RAAF’s AP-3C Orion maritime patrol aircraft. Under Phase 1B of Project Air 7000, the current Defence Capability Plan would see an unmanned maritime reconnaissance capability considered by government from 2019 for service introduction in the early 2020s. Japan is looking to use foreign engines for the prototype aircraft needed for its fifth-generation fighter programme. The ATD-X Shinshin programme is still in the study stage, but industry sources in Japan and overseas say Tokyo has issued a document to engine-makers seeking information and pricing on powerplants needed for two prototype aircraft. Responses are due to be submitted by 10 May. Japan is interested in engines in the 10,000-20,000lb thrust class (44-89kN), and has a long-list of candidates on which it is seeking information, the sources say. 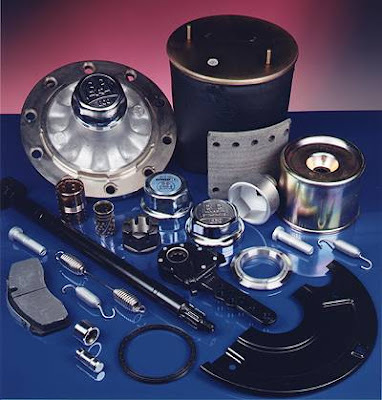 These include the General Electric F404 used to power the Boeing F/A-18 Hornet, Snecma's M88-2 for the Dassault Rafale and Volvo Aero's RM12, integrated with the Saab Gripen. Its search even contains the Gas Turbine Research Establishment GTX-35VS Kaveri, still in development for India's Aeronautical Development Agency Tejas light combat aircraft. Japan had wanted to buy Lockheed Martin's F-22 to meet its future fighter requirement, but the US government has barred exports of the type and agreed to halt production for the US Air Force. Tokyo has responded by vowing to develop its own fifth-generation fighter under the ATD-X programme. Local engine-maker Ishikawajima-Harima Heavy Industries (IHI) has been assigned to develop the XF5-1 engine for the ATD-X. The move to source foreign engines for the prototypes could be part of efforts to give IHI more time and ensure that the overall programme remains on track. Japan is also expected this year to issue a request for proposals for new fighters under its F-X programme. Aircraft in the running will include the F/A-18E/F Super Hornet, Eurofighter Typhoon, and Lockheed's F-35 Joint Strike Fighter. KUALA LUMPUR: The grounding and training provided for our submariners are of such high quality that Royal Malaysian Navy (RMN) crew were invited to serve with the French navy. RMN chief Admiral Tan Sri Abdul Aziz Jaafar said the exposure given to its submariners was so thorough that the French navy was willing to have them aboard their submarines. "This shows the level of competency our crew have attained, and the credibility they have achieved during their stint in France." Abdul Aziz was referring to the 500-odd RMN crew trained in Brest, France initially in the Agosta training vessel before being deployed into the two Scorpene SSK submarines -- all three vessels of which were procured under a total package worth RM3.42 billion in 2006. Technical training was also provided by the French shipbuilder, DCNS, at Cherbourg, and its Spanish partner, Navantia at Cartagena. The first Scorpene submarine, KD Tunku Abdul Rahman, arrived here on Sept 3 last year, while the second, KD Tun Razak, is expected to arrive in the middle of this year. "We are very committed and dedicated to ensure that the submarine programme, a strategic asset for the country, continues with minimal hitches," he said in conjunction with the 76th RMN Day which falls today.For that reason, he added, the navy was also urgently scouting for a submarine escape-and- rescue vessel. "Its presence will provide a psychological confidence to submariners." Abdul Aziz added that despite the financial constraints, the RMN was bent on ensuring that Malaysia's coastline, maritime strategic interests, exclusive economic zone (EEZ), territorial waters and islands were secured. The RMN, he said, was also prepared to defend the nation against seaborne threats. "I believe if our men's and women's interests are looked after, morale will be high and they will serve the country to the best of their ability." It is understood that the RMN's future fleet programme includes a second batch of Lekiu-class frigates, New-Generation Patrol Vessels (NGPV), Multi-Purpose Support Ships (MPSS), maritime patrol aircraft and anti-aircraft/ship/submarine warfare helicopters. The RMN's ultimate goal is to have six-vessel squadrons of each class by the year 2020. Abdul Aziz added that the emphasis was for RMN to procure assets on a common platform policy to facilitate affordable maintenance and servicing, improve readiness and optimise available resources. "Such assets will boost our capability to protect our 3,000km coastline, the 400km separating the peninsula and East Malaysia, and the Straits of Malacca as one of the world's busiest sea lanes." In 1996, a total of 27 Meko 100 NGPVs were built in Lumut, Perak, to fulfil the RMN's requirements. 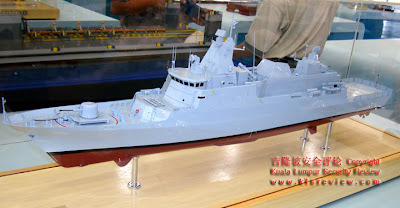 An initial contract for six NGPV vessels (which have since been reconfigured as littoral combatant ships), was clinched and five -- KD Kedah, KD Pahang, KD Perak, KD Terengganu and KD Kelantan -- have been commissioned since June 2006. On the MPSS procurement, Abdul Aziz said the navy was also considering those from South Korea and China which offered competitive and high-quality vessels. The RMN now has 42 vessels after 17 were handed over to the Malaysian Maritime Enforcement Agency. On the RMN auxiliary ship Bunga Mas 5, Abdul Aziz said it played a pivotal role in protecting Malaysian commercial vessels plying the Gulf of Aden since being deployed there under Ops Fajar in June last year. Bunga Mas 5, equipped with combat capability and special forces on board, undertook a six-month stint in the gulf. "Its deployment has been very effective. There are no more hijackings since the two incidents involving MISC vessels last year," he added. 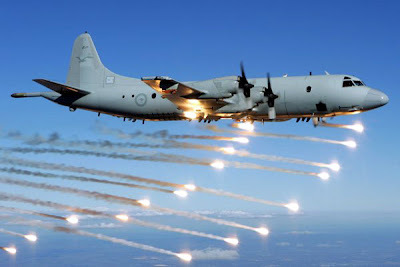 THE crew of an RAAF Orion patrol plane have landed their aircraft safely after it was seriously damaged over Afghanistan by one of its own flares. The air force is investigating the incident, which involved a flare designed to lure missiles away from aircraft. The flare became hung up in the aircraft during a patrol over southern Afghanistan a fortnight ago. Details of the incident were released only yesterday. The four-engined P-3C Orion surveillance aircraft entered service with the Royal Australian Air Force in 1968. Better known for its maritime patrol work, the aircraft is gathering vital intelligence on Taliban insurgents for the NATO-led International Security Assistance Force in Afghanistan. "The incident was related to the irregular release of one of the aircraft's counter-measure flares due to a systems malfunction," an ADF statement said. "The crew ceased their assigned mission and safely landed the aircraft at al-Minhad Air Base in the United Arab Emirates." Damage to the airframe was serious enough to require a technical and air safety investigation. The Orion was designed to track down and sink enemy submarines using torpedoes and Harpoon anti-shipping missiles, but it can also carry out high altitude surveillance with its sophisticated cameras and other intelligence gathering gear. Indonesia's army plans to add 24 utility helicopters, with Indonesian Aerospace and Bell Helicopter teaming for the pitch. The army wants to have two squadrons of utility helicopters, totalling 24 aircraft, plus 18 attack helicopters, say industry sources. For the utility helicopter requirement, state-owned aircraft-maker IAe is putting forward the Bell 412EP. 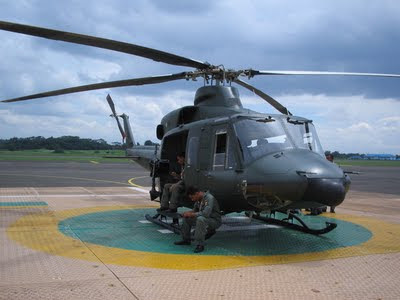 Indonesia's army has 31 412HP/SPs already in use, as listed in Flightglobal's HeliCAS database. IAe manufactured the airframes, which the army took delivery of between the late 1980s and the mid-1990s. IAe plans to import the first batch of 412EPs in kit form, perform final assembly and be responsible for the installation of client equipment, industry sources say. However, it wants to also manufacture the fuselages for subsequent aircraft, they add. Bell and IAe have already signed a memorandum of understanding, but have yet to sign a final contract, as some details need to be worked through. The army also has yet to sign a firm contract for the aircraft. An enhanced performance version of the 412 with a dual digital automatic flight-control system, the EP uses a relatively old platform. However, one source notes that its advantage over rival AgustaWestland and Eurocopter product offerings is that some of the army's key decision-makers are familiar with the 412, having flown it in the past. Jakarta (ANTARA News) - TNI Angkatan Darat memprioritaskan pengadaan alat utama sistem senjata baru dari penambahan anggaran APBN-P 2010. Kepala Staf Angkatan Darat Jenderal TNI George Touisutta menjawab ANTARA di Jakarta, Selasa mengatakan, penambahan alat utama sistem senjata baru terutama diperuntukan bagi satuan kavaleri. "Alat utama sistem senjata baru itu antara lain kendaraan tempur dan sejumlah meriam," katanya menambahkan. Ia menegaskan, pihaknya akan memprioritaskan pengadaan kendaraan tempur dari dalam negeri seperti PT Pindad. "Untuk kendaraan tempur yang sudah dapat kita produksi, maka kita pakai dari dalam negeri," ujarnya. Sedangkan untuk alat utama sistem senjata yang diadakan dari luar negeri, pihaknya mensyaratkan alih teknologi. Tentang berapa unit yang akan diadakan, ia menyatakan, pihaknya masih menghitung dan disesuaikan dengan anggaran yang tersedia. MANADO, KOMPAS.com - PT Dirgantara Indonesia (PT.DI) menawarkan pesawat terbang nasional jenis N219 kepada pemerintah Provinsi Sulawesi Utara untuk memperlancar perhubungan ke daerah terpencil. Direktur Teknologi dan Pengembangan PT.DI Andi Alisjabana di Manado, Senin (26/4/2010), mengatakan, pesawat jenis ini cocok untuk Sulut karena dirancang khusus untuk penerbangan jarak pendek dan bisa mendarat pada landasan tak beraspal di wilayah pegunungan. 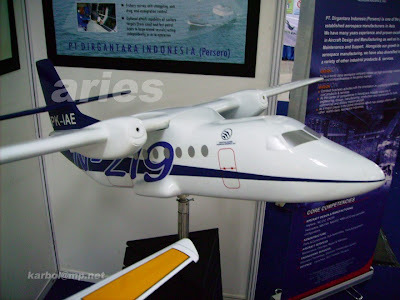 "N219 dapat menggantikan pesawat Twin Otter yang sudah tua dan tidak diproduksi lagi," kata Andi pada sosialisasi fasilitasi pengembangan dan promosi investasi Far 23 (Program N219). Harga pesawat ini hanya 3,8 juta dollar AS (sekitar Rp 35 miliar), dapat mengangkut penumpang 19 orang dan masih memungkinkan dibiayai dari dana pemerintah daerah. Analisis operasi pesawat N219 di Sulut untuk rute Manado-Naha berjarak 256 kilometer (km) jarak tempuh satu jam, dengan perkiraan penumpang 80 persen (15 orang), maka dapat dioperasikan dengan harga tiket Rp 650.000 per penumpang. "Tiket seharga Rp 650.000 per penumpang dan LF 80 persen dapat diperoleh keuntungan sekitar 1.086 dollar AS per trip (sekali terbang)," kata Andi. Sedangkan untuk Manado-Melonguane (360 km), jarak tempuh 1,25 jam, harga tiket Rp 750.000 per penumpang, jumlah penumpang 15 dapat diperoleh keuntungan 1.253 dollar AS per sekali jalan. "Total pendapatan 4.677 dollar AS dikurangi biaya operai 4.514 dollar AS, maka diperoleh keuntungan 163 dollar AS per tahun atau 16.316 dollar AS per bulan. Jumlah tersebut cukup menguntungkan bagi Sulut," kata Andi. Karakteristik pesawat N219 diantaranya, bermesin ganda masing-masing 850 SHP, disertifikasi pada ketegori CASR 23 (commuter category), biaya operasi dan pemeliharaan yang rendah, berkemampuan high and hot airfield capability, sederhana dan mudah pemeliharaannya. "Pesawat ini belum diproduksi, harus ada permintaan sekitar 30 pesawat baru bisa dibuat, dan merupakan peluang bagi pemerintah daerah," kata Andi dan menambahkan, kepemilikan pesawat oleh pemerintah daerah dimungkinkan karena ada aturan untuk itu. MANILA, Philippines - The Department of National Defense is in talks with four foreign governments on the possible purchase of military equipment, even as some sectors have raised concerns about possible “midnight deals” being hatched by the outgoing Arroyo administration. “I do not want this business of suspecting the AFP (Armed Forces of the Philippines) each time it makes a major procurement. I said we will not deal with private contractors. The modernization that we will try to do will be between governments,” Defense Secretary Norberto Gonzales told reporters over the weekend. Gonzales revealed that Canada, Italy, Israel and South Korea have already laid down their respective offers. “The Canadians are offering long-range patrol aircraft and medium-lift capability. The Italians are doing the same. Israel is looking at the possibility of giving us combat helicopters and communication systems. The Koreans are telling me they are prepared to give us a credit line of up to $2 billion,” he said. Gonzales said he is also awaiting a proposal from the French government. The defense chief said they would still review the offers and expressed hope that the delivery of the equipment would be done within the next two years. Critics fear that the last-minute projects of the Arroyo administration would be fraught with massive corruption and irregularities. Last week, Liberal Party presidential bet Sen. Benigno “Noynoy” Aquino III warned against the government’s “midnight deals” and called on foreign suppliers not to transact with the outgoing administration. He also vowed to strictly scrutinize the Arroyo administration’s latest transactions. “If such midnight deals are concluded just the same, they must all be subjected to the strictest scrutiny and immediately rescinded whenever warranted,” Aquino said. “Every peso stolen from the budget of our security organizations represents a drop of blood of our soldiers, airmen, sailors and police officers who risk their lives in the service of our nation,” he added. Gonzales admitted that the government is into an “11th hour” preparation to modernize the AFP, but claimed that nothing is illegal with it. The DND chief also said the acquisition of new military equipment would enhance the country’s defense capabilities and restore national pride. The government is planning to buy an armor system for the Army, multi-role vessels for the Navy and long-range patrol aircraft, medium lift aircraft and attack helicopters for the Air Force in the next two to three years. Malacañang has issued an “obligation authority” to the DND to allow it to enter into multi-year contracts. The scheme is in the 2010 national budget signed into law by President Arroyo last February. Without such authority, the DND can only spend up to P5 billion per year from the modernization funds. 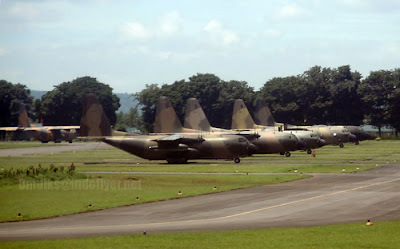 TNI Angkatan Udara berencana menganggarkan pembelian pesawat Hercules. Pasalnya, pesawat Hercules yang ada saat ini umurnya sudah 45 tahun. Demikian dikatakan oleh Kepala Staf Angkatan Udara (KSAU) Marsekal TNI Imam Sufaat didampingi Kepala Dinas Penerangan Angkatan Udara, Marsekal Pertama TNI Bambang Samoedro usai membuka Musyawarah Nasional (Munas) IX Federasi Aero Sport Indonesia (FASI) di Ruang Hercules Eksekutif Club Persada, Lanud Halim PK, Jakarta, Sabtu (24/4). Imam menjelaskan, pesawat Hercules ini bisa digunakan sampai usia 50 tahun sehingga maksimal masa waktu penggunaannya tinggal lima tahun lagi. Menurut Tim dari Amerika, yang menilai kelayakan penggunaan pesawat Hercules ini bisa bertahan hanya lima tahun lagi. "Jadi, air frame-nya hanya sampai umur 50 tahun. Jadi mereka tidak akan bertanggung jawab kalau terjadi apa-apa," kata Imam Sufaat yang juga Ketua Umum PB FASI ini. Menurut Imam, kedepan sebagaimana direncanakan dalam Renstra memang sudah saatnya mencari pengganti pesawat Hercules yang baru. Hanya permasalahannya masalah anggaran, karena mahal sekali. "Kita berencana mengadakan penambahan sembilan hercules," katanya. KSAU juga mengungkapkan, TNI AU telah mengajukan rencana pembelian 16 unit pesawat tempur jenis Super Tucano buatan Brasil. Super Tucano ini sebagai pengganti pesawat tempur OV-10 Branco yang di-grounded sejak tahun 2007. Menurut Imam, proses tender yang dilakukan TNI AU telah menetapkan pemenang tendernya adalah Super Tucano dari Barzil. Proses terakhir sudah pada tahap penawaran harga. "TNI AU sudah mengajukan rencana pembelian pesawat Super Tucano ke Mabes TNI untuk diproses lebih lanjut," katanya. Imam menjelaskan, Super Tucano dipilih karena memiliki keunggulan yaitu sebagai pesawat taktis ringan, berfungsi sebagai counter insurgency, berfungsi sebagai remote air control (pesawat pengontrol udara), dan pengamatan intai dari udara. 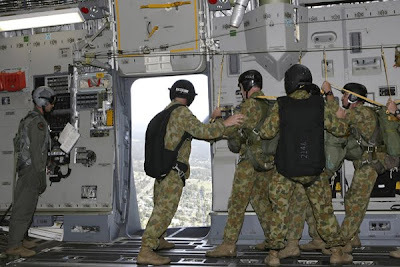 The RAAF has conducted the first paratroop trials with the C-17 outside of the USA. Members of the Australian Army's No. 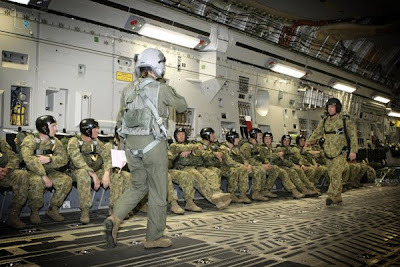 176 (Air Dispatch) Squadron have been delivered by a Royal Australian Air Force C-17A Globemaster III to Rickaby's Drop Zone, near RAAF Base Richmond in New South Wales in a series of multiple jumps on April 21. 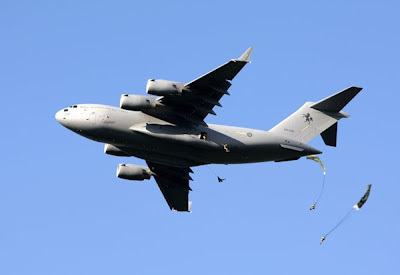 It is believed to be the first paratroop trials with the C-17 outside of the USA. The RAAF’s No.36 Squadron operates four C-17A Globemaster IIIs, each of which can carry up to 102 paratroops. Russia's Irkut Corp has pledged an investment of US$5 billion (RM16.5 billion) to establish a full-fledged and diversified original equipment manufacturing (OEM) facility in Sungkai, Perak, soon. Sungkai is slated to be established as the Malaysian Defence Security Technology Park by year-end. Defence Minister Datuk Seri Dr Ahmad Zahid Hamidi said the facility would encompass research and development; design; manufacture of components and parts; and maintenance, repair and overhaul (MRO) services for the defence and aerospace industries. "In total, Irkut has entered into 28 memoranda of agreement with various local parties to produce locally, under licence, an array of parts and components not only for the Malaysian market but also for global requirements." - the supply of components for the aerospace industries involved in the manufacture of Sukhoi and MiG fighter jets and the Yakolev transport aeroplane. "Irkut's participation will be a tremendous boost for the local defence, security and aerospace market and help spur the growth of the industries here," he said yesterday at the close of the Defence Services Asia 2010 exhibition at the Putra World Trade Centre. Irkut is one of Russia's foremost industries, famed for the Sukhoi Su-30 multi-role combat aircraft, and is the prime contractor for the Indian Air Force's Su-30MKI fighters.Irkut also manufactures the Beriev Be-200 multipurpose amphibious planes, Yakolev Yak-130 combat training aircraft, unmanned aerial vehicles, components for Airbus passenger airliners and the MC-21 passenger airliner. With Irkut's investment plans, Zahid said the total value of deals inked at DSA 2010 would exceed RM25 billion, following the RM10.355 billion signings announced on Tuesday. Zahid commended foreign partners for providing a sustainable platform for defence and security technology manufacturers and vendors to meet face-to-face with their potential customers. This, he said, allowed them to discuss the various options available to match their inividual nations' upgrading and modernisation programmes. New Delhi (ANI): Singapore Technologies (ST) Kinetics, which is vying for India’s order of 400 towed 155mm/52 calibre field howitzers, is looking for a long term association with the Indian Army and is confident of bagging the contract. Artillery acquisition is central to the Indian Army’s modernization programme. This tender involves outright purchase of 400 towed guns and transfer of technology for manufacture of another 1180 guns. “Actually, we have a whole lot of products to offer Indian Army. Basically howitzers. We are participating in both howitzer categories and also couple of embodied system,” said Ong Meng Hua Patrick, Director Regional Marketing of the ST Kinetics. “At present our light weight assault rifle is under going trial rounds. We are happy and able to supply to the Indian Armed forces in the near future. We have 42 years of experience in engineering and defence products,” he said on Thursday on the sidelines of the DEFEXPO 2010 held in New Delhi. “Indian Army is a very good customer for howitzers and we are more competent than other people in the market. We have a 155 mm double barrel howitzer, and we are first in the world to produce it,” said Patrick. He said that ST Kinetics lightweight howitzer has got artillery power unit (APU), which enables it to load quickly by pressing a button rather than running round the chamber, and helps soldiers to use them in high altitude and cold weather a lot. “ST Kinetics is partnering Punj Llyod group. We are confident that they will be able to furnish the requirement of our Indian customers,” Patrick said when asked about fulfilling India’s Offset clause in the defence contract. ST Kinetics FH-2000 towed howitzer made by Singapore Technologies (ST), a government-held firm, will face-off with the Bae Land Systems (formerly Bofors) FH77B05. Two more howitzers in the race were rejected following technical scrutiny of the tender bids, the Rheinmetall’s RWG-52 and Israeli Soltam’s Athos. WELLINGTON - Doubts about completing the life extension project (LEP) for the Royal New Zealand Air Force's five C-130H Hercules have arisen with subcontractor Safe Air saying it no longer wishes to do the work. The Blenheim-based company was scheduled to conduct the LEP on three Hercules after the first two had been modified by L-3 in Texas, but software problems have delayed the project by two years, leading to 92 job losses being announced by Safe Air, a subsidiary of Air New Zealand. Defence Minister Wayne Mapp told Radio New Zealand on April 21 that the government was considering taking a stake in Safe Air to ensure the Hercules work is completed. However, this would effectively make the New Zealand government a subcontractor to L-3. Mapp later stressed that the focus was on completing the 226 million New Zealand dollar ($160.7 million) Hercules project. Des Ashton, deputy secretary of defense (acquisitions), told Defense News that a number of options were being looked at. "One of those includes the process that the minister referred to earlier," he said. "It is desirable that the work is done in Blenheim on those three aircraft; a lot of preparatory work has been done, both to facilities and the people and the kits are all physically down there. So the best outcome would be for the work to be done at Safe Air's facility," Ashton said. The kit includes fasteners, wiring looms, wire for the looms not yet made, jigs, fixtures, tools, drawings, planning information and other prerequisites. "There is a [C-130H] Hercules at Safe Air at the moment. It is one of the two aircraft already modified [by L-3] and it is having some calendar-based servicing and the self-protection system installed," he said. The latter is not part of the life extension project but is being carried out on all five Hercules at the same time as the LEP. "Once the current work is complete on this aircraft at Blenheim, the latest version of the flight management system and autopilot software will be loaded. At this stage, the intention is to load that [software] first on the aircraft that is over in Waco, Texas, and once it is proven it can go straight into the Hercules at Blenheim as well," Ashton said. 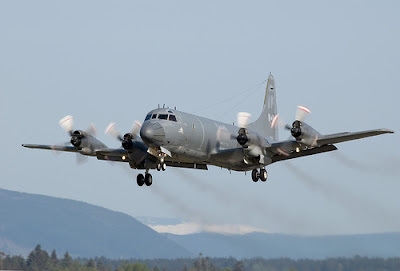 Safe Air is already a subcontractor on the 352 million New Zealand dollar project to upgrade the Air Force's six P-3K Orions to P-3K2 status. The first production aircraft has been with Safe Air since last August. Ashton said the prototype Orion, also in Texas, has not yet completed acceptance tests. "L-3 continues to work on the P-3, but we have to wait until the flight testing program at Greenville, Texas, substantiates such details as the exact position of antennas and similar details before completing the final installation on the second aircraft. In short, the P-3 work is going ahead as originally advertised, though later than originally intended." Kuala Lumpur (ANTARA News) - PT(Persero) Pindad menargetkan penjualan pertama 32 unit panser 6X6 "Anoa" ke Malaysia dapat dilakukan akhir 2010. 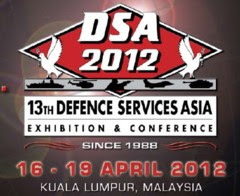 "Ya kita berharap bisa November atau paling telat Desember 2010," kata Dirut PT Pindad Adik Avianto di sela-sela kunjungannya di Defences Services Asia Exhibition and Conference 2010 dan PT SME Ordnance di Kuala Lumpur Jumat. Adik Avianto mengatakan, untuk memenuhi kebutuhan panser 6x6 , maka Malaysia telah melakukan penjajakan ke tiga perusahaan dari tiga negara yakni PT Pindad (Indonesia), Dosaan (Korea Selatan) dan Renault (Perancis). Dari tiga perusahaan yang dilirik, Malaysia menetapkan dua calon perusahaan yang akan memenuhi kebutuhannya akan panser 6x6, yakni PT Pindad dan Renault. "Jadi ini suatu kebanggaan juga kita bisa mengungguli Korsel. Kita tinggal melakukan yang terbaik untuk bisa unggul dari Renault," ungkap Adik. Ia mengemukakan, Pindad dan Renault akan unjuk kebolehan dihadapan tim pengadaan Malaysia pada Mei 2010. "Dari segi teknik dan kemampuan, produk kita tidak kalah dengan Renault. Bagaimanapun dia sudah ribuan unit yang diproduksi bahkan Indonesia pun sebagai salah salah pengguna panser sejenis buatan Renault," tutur Adik. Namun, lanjut dia, dari segi , maka harga Pindad bisa memberikan harga yang lebih bersaing. "Ya kami berharap, bisa lolos pada unjuk kebolehan nanti. Sehingga bisa segera dilakukan kontrak," katanya. Panser 6X6 Pindad merupakan kendaraan tempur pengangkut personel dengan sistem penggerak roda simetris yang dirancang khusus untuk TNI AD, khususnya kavaleri. Panser ini dapat mengangkut 10 personel dengan tiga kru, satu komandan, dan satu "gunner". Panser juga dilengkapi dengan "mounting" senjata 12,7 mm yang dapat berputar 360 derajat. Panser "Anoa" tersebut merupakan salah satu produk primadona PT Pindad yang dipamerkan dalam arena Defences Services Asia Exhibition and Conference 2010 dan PT SME Ordnance di Kuala Lumpur, Malaysia. Selain panser, maka PT Pindad juga menampilkan berbagai varian persenjataan personel baik senapan laras panjang maupun pendek. Brisbane's Haulmark Trailers has signed a $70 million contract for the provision and support of 973 Lightweight and Light trailers to the Australian Defence Force under Project Overlander, Land 121. "The new generation of vehicular systems will replace the current trailer capability for Defence and have been purposely designed to operate in conjunction with the G-Wagon vehicles, currently being acquired under a contract with Mercedes Benz Australia/Pacific," Greg Combet, Minister for Defence Materiel and Science, said. 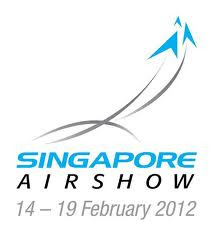 The capability will be delivered from April 2012 through to February 2015. ADM remembers being present at the end of 2007 when then Defence Minister Brendan Nelson announced the Ph 3 Land 121 winners at Haulmark's Brisbane facility, along with their preferred tenderer status. It's good to see the contract finally signed. Kuala Lumpur (ANTARA News) - Indonesia memperkenalkan senapan serbu SS2 V1 dan SS2 V5 di arena "Defences Services Asia Exhibition and Conference 2010" di Kuala Lumpur, Kamis. Perkenalan salah satu produk unggulan PT Pindad itu ditandai dengan penyerahan secara simbolis pucuk SS2 V5 dari Menteri Pertahanan RI Purnomo Yusgiantoro kepada Menteri Pertahanan Malaysia Dato Sri Zahid Hamidi. "Senjata SS1 dan SS2 ini merupakan salah satu produk unggulan Indonesia yang diproduksi PT Pindad, setelah melalui proses riset dan pengembangan yang telah dilakukan hampir 20 tahun diawali kerja sama bersama Belgia," kata Purnomo. Ia menambahkan, produk persenjataan SS1 dan SS2 berbagai varian yang dihasilkan PT Pindad telah teruji keandalannya baik dalam operasi militer maupun dalam perlombaan menembak militer. "SS2 Pindad telah terbukti berhasil mengungguli persenjataan-persenjataan lain sejenis," ujar Purnomo. Sementara itu, Direktur Utama PT Adik Avianto mengatakan, dengan perkenalan produk tersebut diharapkan dapat memantapkan pangsa pasar senapan serbu tersebut di kawasan ASEAN. "Produk ini sudah terbukti unggul. Produk murni buatan Indonesia ini telah digunakan seluruh satuan TNI. Dan diharapkan setelah perkenalan dengan Malaysia, senapan serbu PT Pindad dapat menjadi senjata andalan yang digunakan negara tetangga," katanya. Pada kesempatan itu, PT Pindad menyiapkan sepuluh pucuk senjata SS yakni SS2 V1 dan SS2 V5 masing-masing lima unit. DCNS signed yesterday a contract with the Royal Malaysian Navy (RMN) for the supply of a simulator and services allowing extensive training around navigation safety, combat system, including sensors, and periscope operations for Scorpene submarines. This contract, worth around Malaysian Ringgit 128 Million (around 27 millions Euros), underlines the continuous collaboration of the Royal Malaysian Navy with DCNS on the Scorpene submarines programme. In 2002, Malaysia ordered two Scorpene Submarines. The first Malaysian Scorpene submarine, KD Tunku Abdul Rahman, sail home on the 3rd of September 2009 and is now undergoing tropical water and weapons trial off the waters of Sabah. The second Scorpene submarine, KD Tun Razak, is expected to arrive home by July this year. The Malaysian Defense ministry nominated the Malaysian company DRB-Hicom Defence Technologies (Deftech) a prime contractor to locally produce and supply 257 armored personnel carriers based on the Turkish 8x8 Pars wheeled armored vehicle. The Pars, developed and produced developed by the Turkish company FNSS is based on a design made by the U.S. company GPV. The value of the Malaysian 'letter of intent' is worth over worth about US$2.5 billion. Deliveries will span over seven years. The prototype APC is expected to be delivered for testing to the Malaysian Army by 2011. Deftech is to build 12 variants from the base vehicle, including personnel carrier, anti-tank weapon carrier, command and control and anti-aircraft weapon vehicles. The APC version will be equipped with a two-man manned turret to be developed and produced by the South African company Denel. Sapura Thales Electronics (STE) will be the electronics system integrator. The cost of the new vehicle seems excessively high - about $9.8 million per unit. Malaysian defense officials explained that these figures represent the total life cycle cost of the program, including which usually includes design, development, logistical support and sustainment as well as non-recurring engineering costs and investments associated with the set-up of local production facilities in Malaysia to develop its armored vehicle manufacturing. Yet, even when considering a 250% mark-up to cover such the price tag on the new Malaysian vehicle seem odd. The Pars (Anatolian Leopard) armored personnel carrier is design and developed by the Turkish FNSS company, based on a design of U.S. based General Purpose Vehicles (GPV). The 8x8 configured Pars APC was officially unveiled in 2005 as a basis for a family of armored vehicles addressing Turkish Land Forces Command requirement. Heavier and lighter configurations ranging from 6x6 to 10x10 are also proposed by GPV and FNSS. The Pars has a modular design and can be fitted with various armament fits, including external and turret mounted armament. The vehicle can accommodate one- or two-men turrets as well as remotely operated weapon stations and specific mission equipment. The vehicle is operated by a crew of two, and can carry up 12 troops or up to eight tons of payload. Featuring advanced, active hydropneumatic suspension system with electrically controlled variable height enabling adjustable ground clearance and central tyre inflation system. During field trials held in the UAE in 2008 the Pars demonstrated remarkable cross-country desert mobility. It also has full amphibious capability without preparation, utilizing the wheels for propulsion while swimming. With the use of optional hydrojets it can develop more speed and maneuverability. The Pars can be airlifted inside the C17 or the future A400M transport aircraft ordered by Malaysia back in 2005. According to Malaysian defense officials, the order for four aircraft remain in effect although the delivery of the aircraft could be delayed by 3-4 years. Deftech is a leading supplier of defense material to the Malaysian Armed Forces, government and security sector, Deftech is a wholly owned subsidiary of the DRB-HICOM Berhad consortium traded on the Kuala Lumpur stock exchange. 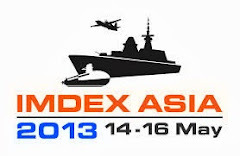 The award announcement was released on first day of the the Malaysian defense exhibition DSA 2010. 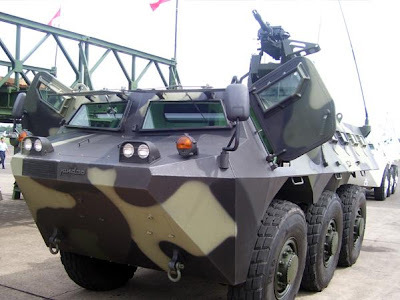 Kuala lumpur (ANTARA News) - PT Pindad dan WGR Malaysia, di Kuala Lumpur, Malaysia, menyepakati penjualan enam panser 6X6 "Anoa" produksi Pindad. Kesepakatan itu dituangkan dalam nota kesepahaman yang ditandatangani kedua pihak di arena "Defences Services Asia Exhibition and conference 2010", di Kuala Lumpur, Kamis. Penandatanganan disaksikan Menhan Purnomo Yusgiantoro dan Menteri BUMN Mustafa Abubakar. Panser ini dapat mengangkut 10 personel dengan tiga kru, satu komandan, dan satu "gunner". Panser juga dilengkapi dengan "mounting" senjata 12,7 mm yang dapat berputar 360 derajat. TEMPO Interaktif, Jakarta - Tentara Nasional Indonesia Angkatan Laut mengajukan dana sebesar Rp 50,2 miliar dalam Anggaran Pendapatan dan Belanja Negara Perubahan 2010. Jumlah itu berasal dari APBN-Perubahan 2010 Kementerian Pertahanan sebesar Rp 2,7 triliun. Rencananya, Angkatan Laut akan menggunakan anggaran itu untuk meningkatkan kemampuan sistem persenjataan. Menurut Kepala Staf Angkatan Laut Laksamana TNI Agus Suhartono, dengan dana itu Angkatan Laut membuat rencana strategis yang akan terpenuhi dalam jangka waktu 15 tahun. “Seperti pengadaan kapal patroli, persenjataan pasukan khusus, dan stamper boat,” kata Agus di Sekolah Staff dan Komando Angkatan Laut, Rabu (21/4). Dana sebesar Rp 50,2 miliar tersebut, seluruhnya habis terserap untuk pengadaan alat utama sistem persenjataan. Pengefektifan APBN-P di sistem persenjataan itu, Agus melanjutkan, ditujukan untuk mencapai rencana TNI dalam menerapkan kekuatan pokok minimum atau zero growth. Pada kekuatan pokok minimum, Angkatan Laut mengefisienkan jumlah personil dan meningkatkan kemampuan persenjataan pasukan. “Karenanya, kami akan fokus pada pengadaan alutsista, peningkatan kemampuan alutsista, dan penghapusan kapal tidak yang produktif. ”Untuk pengadaan sistem persenjataan dan penghapusan kapal yang tidak produktif lagi, Agus tidak menjelaskannya. Namun untuk peningkatan kemampuan sistem persenjataan, Agus mencontohkan penambahan peluru kendali dari Rusia pada kapal Angkatan Laut yang berasal dari Jerman. Dan teknis penambahan kemampuan persenjataan kapal tersebut, Angkatan Laut akan melibatkan industri dalam negeri. “Pemasangan dan tansfer teknologinya menggunakan industri dalam negeri, agar ke depannya Indonesia bisa membuat sendiri,” ujar Agus. Di kesempatan berbeda, Kepala Biro Hubungan Masyarakat Kementerian Pertahanan Brigadir Jenderal TNI I Wayan Midhio, mengatakan dari anggaran Rp 2,7 triliun itu, Kementerian Pertahanan membaginya berdasar prioritas peralatan yang akan dibeli. Anggaran itu yakni untuk senjata dan perlengkapan amunisi sebesar Rp 739 miliar, anggaran kendaraan bermotor sejumlah Rp 179 miliar, anggaran suku cadang sebesar Rp 366 miliar, anggaran untuk peralatan khusus sebesar Rp 799 miliar, dana untuk alat perlengkapan khusus senilai Rp 101 miliar, dana alat kesehatan prajurit sebesar Rp Rp 119 miliar, alat komunikasi sejumlah Rp 173 miliar, anggaran kantor dan rumah dinas sejumlah Rp 224 miliar, serta dana untuk pengembangan sistem sejumlah Rp 20 miliar. “Alokasi alutsista jadi prioritas utama dalam APBN-P 2010,” kata Wayan. Anggota Komisi I Bidang Pertahanan Dewan Perwakilan Rakyat Tubagus Hasanudin, mengatakan Dewan masih mempertimbangkan permintaan anggaran senilai Rp 2,7 triliun dari Kementerian Pertahanan itu. “Kami masih mempelajarinya, mungkin akhir bulan April baru ada keputusan.” Komisi I, lanjut Tubagus, masih memerlukan penjelasan serta penjabaran dari Kementerian Pertahanan mengenai rincian anggaran yang diminta itu. “Ada tiga yang kami lihat, nilai guna, transparansi penggunaan, kemampuan negara,” ujar Tubagus. JAKARTA (SI) – Tentara Nasional Indonesia Angkatan Laut (TNI AL) mengajukan Rp 50,2 miliar dalam anggaran pertahanan Kementerian Pertahanan (Kemhan) untuk Anggaran Pendapatan dan Belanja Negara Perubahan 2010. Menurut rencana Angkatan Laut memfokuskan anggaran tersebut untuk peningkatan kemampuan alat utama sistem senjata (alutsista). Kepala Staf Angkatan Laut Laksamana TNI Agus Suhartono mengungkapkan anggaran tersebut akan dialokasikan untuk peningkatan kemampuan alutsista, pengadaan kapal patroli, serta peningkatan persenjataan untuk pasukan khusus. “Kita mengajukan Rp50,2miliar yang seluruhnya habis terserap untuk perbaikan kemampuan persenjataan, pengadaan kapal patroli,dan persenjataan pasukan khusus,” kata Agus seusai menutup Forum Strategi AL di Sekolah Staf dan Komando Angkatan Laut, Jakarta, kemarin. Peningkatan kemampuan alutsista tersebut, menurut Agus, merupakan salah satu bagian dari cetak biru perencanaan logistik yang dihasilkan dalam Forum Strategi AL 2010–2024. Untuk peningkatan kemampuan sistem persenjataan, Agus mengatakan akan ada penggantian sistem kontrol kendali dan senjata pada kapal-kapal perang yang dimiliki TNI AL. Dia mencontohkan untuk kapal buatan Belanda diutamakan memiliki kemampuan perang permukaan. Adapun untuk buatan Jerman antikapal selam. “Sudah ada kapal yang kita lengkapi dengan rudal dari Rusia. Kemudian nantinya akan dipasang rudal dari Cina. Semuanya itu akan melibatkan industri dalam negeri untuk proses pemasangannya agar ada transfer teknologi,”katanya. Secara terpisah,Wakil Ketua Komisi I TB Hasanuddin menyampaikan bahwa Komisi I masih memerlukan penjelasan serta penjabaran dari Kemhan terkait perincian anggaran. “Sampai saat ini belum ada keputusan dari Komisi I. Kami ingin menilai dulu prioritas penggunaan,” ujarnya. Selain itu, lanjut Hasanudin, Komisi I meminta agar rencana anggaran tambahan tersebut disesuaikan dengan kondisi keuangan negara.